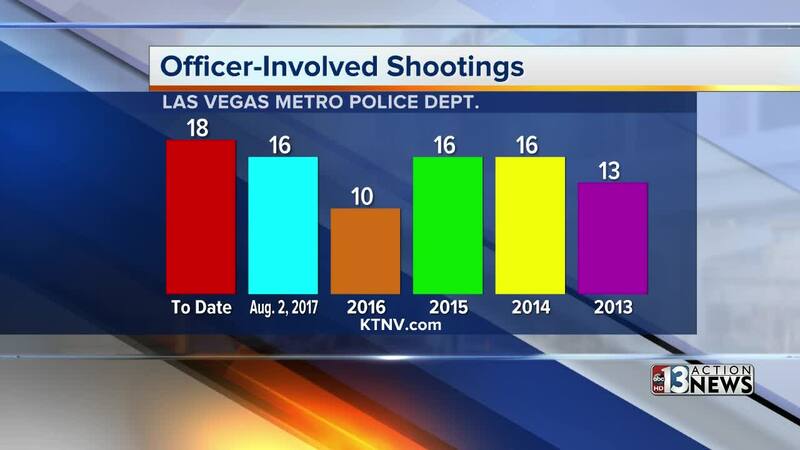 The number of officer-involved shootings for Las Vegas are increasing again this year. Here's a look at the number of shootings in last few years. 13 Action News Crime and Safety expert an retired police lieutenant Randy Sutton walked us through the shooting of a man on Saturday. The incident started when a man fired a couple of shots at his home. Police located him nearby and hour later and attempted to negotiate with the man for an hour. The Las Vegas Metropolitan Police Department came under scrutiny after there were 25 shootings involving officers in 2010. After a review by the Department of Justice, a new use of force policy was put into effect. The number of shootings has dropped since then although the number has increased the past couple of years. The shooting on Saturday was the 18th officer-involved shooting in 2018. 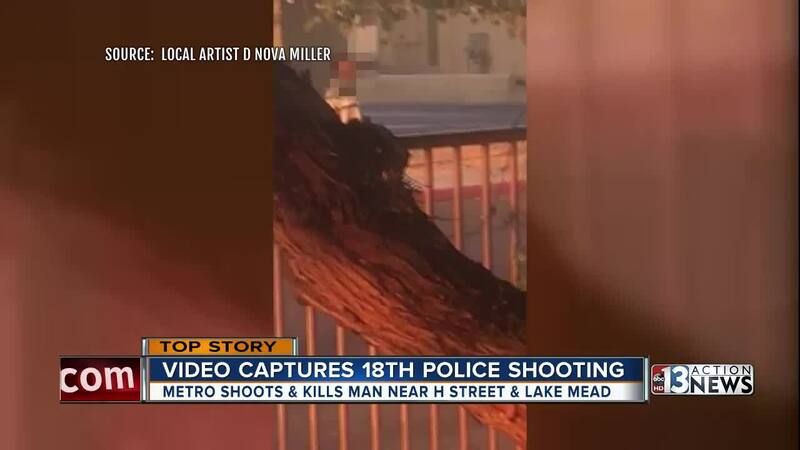 At this time last year, there had been 16 shootings involved LVMPD. There were 22 shootings total in 2017.